Text Customers the Way You Would Text Your Friends! EZ Chat is a new product from EZ Texting that enables business owners to communicate with their contacts through more personalized one-on-one text messages. Texts are kept in threaded conversations in the EZ Chat dashboard. “Please stay on the line, the next available customer agent will be available in…28 minutes.” Everyone’s nightmare, right? We’ve all feared calling customer support for this reason, among others. It’s easy to see why 52% of people said they’d prefer to text with customer support rather than call them. 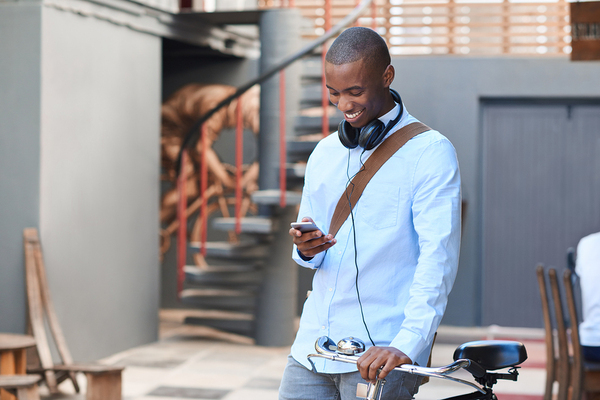 Switching from calls to text provides benefits for both customers and companies. When customers are stuck on support calls, they lose their free time. Also, because reps often must adhere to company goals, they’re motivated to come up with a quick solution, even if it’s not the best one. EZ Chat allows customers to text in their issues, which frees reps from the usual call center challenges. Customers can text in their problems while keeping their free time, and reps can provide more thorough support. If you’re a restaurant, you may want to reach out to popular food and lifestyle bloggers with special information, such as inviting them to write about a new dish. For your regulars and casual customers, you can target them with more traditional messaging, like promotions or discounts. EZ Chat helps you reach out to contacts individually and works on the standard 10-digit business line you likely already have. You can also purchase one from us. Setup takes just a few seconds, and EZ Chat can lead to a smoother experience for customers and businesses alike. Daniel graduated from the University of Arizona with a B.A. in Media Arts and a Communications minor. He also graduated from California State University of Fullerton with an M.A. in Communications. When not being a tech evangelist, Dan enjoys an active lifestyle that includes the beach, tennis, swimming, weights, and stand-up paddle boarding. He’s also is a grill master who ensures everything has the right amount of char on it. An avid LA sports fan, Dan used part of his wedding speech to talk about the Dodgers’ and Lakers’ soul-crushing playoff losses. While the holiday season is a busy time of year for retailers, it can be a quiet time for restaurants. Consumers are spending their money on gifts, and not necessarily on evenings out with loved ones. 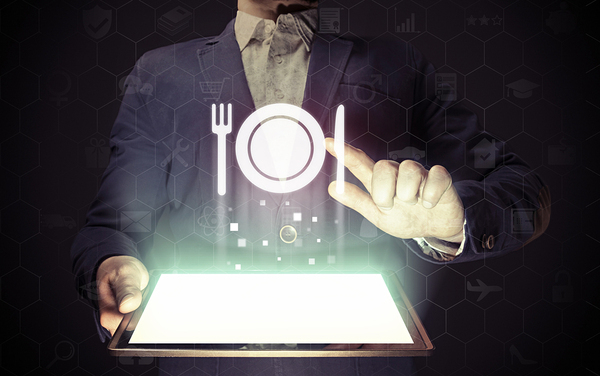 Luckily, there are many things restaurant marketers can do to boost business. One of the most popular is developing exclusive holiday menus to attract hungry guests. How do you spread the word about your holiday specials in the most effective way possible? Your food is delightful, and it has personality. Why not give it a social media account of its own? Whether you're using Facebook or a more photo-specific platform such as Instagram, giving your food a venue where it can shine will attract more visitors to your restaurant for your mouth-watering holiday menus. Add a tidbit of information to your professional photos of dishes. This could be information about the chef or a detail about a unique quality of the meal. Consider adding photos to Pinterest and Snapchat as well. Pinterest photos can highlight the "how to" of the food experience, giving a bit of information about how the food is made. Snapchat can tantalize with a photo, then invite people to connect to a deal. Make sure that your photos are professional and high-quality. Use natural light, make sure that the food looks fresh, and choose the right background: "the choice of tablecloth/surface, plate and cutlery all subtly contribute to the mood and success of your shot," according to BBC Good Food. Sharing information with your readers is just one part of connecting on social media. You can also invite your followers to share with you. Reminisce about your favorite holiday meals and ask readers to do the same. Ask them to take photos of their favorite dishes or send a story that you highlight. Build a community around food, and share your food stories and photos as well. Diversify the focus on Christmas, New Years, and Thanksgiving by sharing memories of niche holidays as well. Quoted in Fit Small Business, Mike Catania says that "we’ve learned we have better success by focusing on the niche holidays." For example, did you know that December 16th is Chocolate Covered Anything day? Invite your guests to partake in a chocolate-covered treat. Who doesn't enjoy free chocolate? Giving your customers perks will help them connect to your business again and again. Perks are especially helpful during the holiday season when stressed-out shoppers relish a treat for themselves or enjoy receiving something that they can pass on to others. Offer a discount on a holiday meal; for example, if they order a certain number of servings for pick up, you'll give them a discount or a dessert for free. Use this strategy to add people to your mailing list, social media, and text message marketing accounts as well. In exchange for signing up, you can offer your guests a discount or a free gift. What's the quickest and easiest way to get in touch with your prospective guests? It's not via social marketing or email: while most people have phones, not everyone has a smartphone. It's text message marketing. With a simple text message, you can prompt your guests to visit you. Send them a discount code, remind them about your upcoming holiday special, or offer them a free gift if they come to visit in the next few days. Are you ready to promote your business online? With text message marketing, you can reach your audience easily and quickly. EZ Texting can help you set up your first text message marketing campaign. Sign up for free today. Do you want to be a top performing business owner? Of course you do, but it's not as simple as signing on the dotted line. Top performers build habits that allow them to reach to peak of their profession. What habits build the foundation for this high performance? Before you perform, you need to know why you're performing. This not only gives you a feeling of purpose: it helps you align your actions so that everything you do is focused on achieving specific goals or living certain values. For example, if you run a high-end consignment store, your mission could be to be the top destination for those looking for diverse and quality consignment brands in your area. Your value could be to provide an environmentally-friendly and financially accessible quality clothing choice for your customers. Developing your mission and values helps you create a strong brand and hire employees who are a strong cultural fit. Direction setting. According to Panorama Consulting, "Stakeholders must identify strategic business goals that will set tactical direction." Your business makes sales, hires new employees, and buys products. Successful business owners track and assess all of these metrics, using this data to make future decisions. For example, a business owner who's trying to sell a new service might log employee hours spent on marketing and providing that service and assess the service's return on investment, overall success, and future pricing. As you choose methods of tracking and communication in your workplace, consider options such as SMS messaging that allow you to easily track customer interactions and collect the data your business needs. Your business relies on effective communication. Whether you're talking with your employees or communicating with customers, you need to be able to connect effectively and immediately. With EZ Texting, you can. Our SMS messaging campaigns allow you to get in touch with your customers easily and quickly. Sign up for free today. How can you get more customers to visit your retail store? That's the million dollar question for retailers, and if you don't answer it, you won't succeed in business. If you're looking for ways to boost customer engagement, there are a number of approaches you can take. Here's how to invite your customers in using your online presence. While your store is bricks-and-mortar, your information doesn't need to exist in the form of paper handouts. Your retail customers enjoy and expect you to have a rich website full of information. For example, if you want your customers to try out your products, make sure that you have a strong FAQ section focused on their questions and needs. According to My Total Retail, "Your online presence needs to be about much more than the products you sell. A website or mobile site should be an educational resource for consumers, offering unique photos, videos, tools, blog posts, reviews and more." Everyone likes to get something for free. If you'd like to boost customer engagement, host a giveaway. You could do this in the store, or you could accept online applicants as well. Consider promoting your giveaway through text message marketing, since these messages are opened in an average of three minutes from their receipt. While many people have cell phones, not all of these phones are smartphones. Be smarter than your customers' phones by using simple text messages to interact with your customers when they're away from their computer. For example, you could remind them of a sale that's ending soon, or you could send your customers a customized message designed for a specific audience that's interested in a product on sale. For instance, if you run a toy store, encourage your customers with preschoolers to come in for a sale on preschool-oriented toys by sending text message marketing to this specific audience segment. Talking with your customers is one of the best ways to build a relationship with your customers. Only your customers can tell you about their questions, their favorite products, and where they hope that you'll go next. Encourage them to share their feedback with you by asking for it directly either in person, or via text message or digital channels. If you'd like to truly connect with your customers, begin with your strengths. Reward your best customers with a loyalty program, a free gift, or a thank you present for a referral. Engage with them via email or through text messages. When you want to increase customer engagement, turn your social media presence from an advertising venue into a place where your customers can share. For example, if you sell custom t-shirts, post a contest asking customers to pose in their favorite t-shirt that they have designed. This allows them to promote themselves, have fun, and connect other people to your business as well. 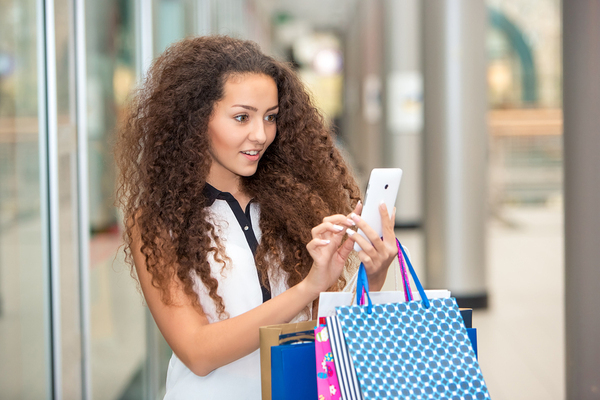 Do you want to boost your customer engagement at your retail store? Connect with your customers using EZ Texting. We'll help you make communication simple. Sign up for free today. How can you get the vote out? Whether you're a coffee shop that's choosing a name for a seasonal drink or an insurance provider that wants to poll your customers about their most pressing questions, you need a quick and simple way to get feedback from your customers. With text-to-vote SMS polls, you can easily connect with your customers and get their thoughts within moments, rather than waiting for days or weeks for the results of a survey or a focus group. Did you know that you can receive custom information about your customers' interests and choices just by setting up a poll? 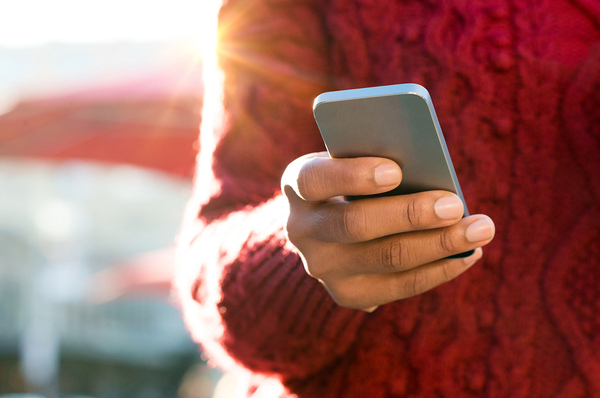 98% of the population has access to a mobile device that can receive text-to-vote SMS polls, and most of these messages get opened within three minutes of delivery. If you're polling your customers, you can set up custom keywords. These keywords are ones that your customers will connect to your business. For example, if your floral customers want to sign up for a text-to-vote service, they can text the word "flowers" to you, receive a free gift, and sign up for your list. One of the best things about using a text messaging service to run your promotional campaigns is that it's so simple. You don't need to worry about setting up a detailed explanation or many options. Just ask your customers simple questions using keywords, and set up your keywords beforehand so that you can easily replicate or modify a past campaign. For instance, a restaurant could poll its customers about potential new products on the takeout menu, asking them to place a keyword such as 'MyVote' in front of their favorite takeout option. You can name your poll, choose an end date, and add choices, and the polling software will automatically set up a sub-keyword for each option. When you use text message marketing to get people to vote on a specific question, issue, or product choice, you have the opportunity to refine and define your promotional message. How do you create the best possible message for your audience? Your message must be short and to the point. Polls and votes can be interactive. For instance, you can invite customers to vote and be entered into a free draw. Create a sense of urgency around your text message. Give it a time limit and let people know you'll be taking action based on the results. Get personal. According to Inc, "Customers respond more to materials addressed directly to them, so insert your subscribers' name when you can. You can also target your customer with more relevant texts based on their preferences." Make sure that you add a call to action. The purpose of text-to-vote campaigns is to get your customers to vote. Text-to-vote campaigns are very effective. According to Small Business Trends, in 2016, "your average, run-of-the-mill retail business saw an email click-through rate of just three percent." After you send out a text-to-vote message, you need to track the results of that vote, but you also need to track how the campaign performed so you can optimize your next campaign. Track the results of your poll and look at the numbers in graph form, and you can make decisions based on the results. Better yet, view delivery rates, open rates, reply rates, and changes in engagement. 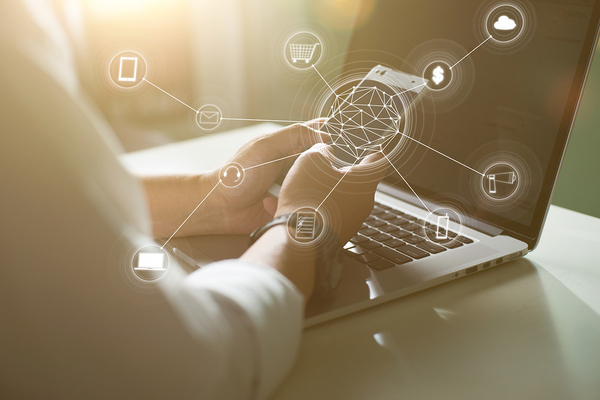 Easy access to analytics allows you to focus on the detailed elements of your polling so that you can see what keywords, text messages, and even times of day work best for customer connection. Would you like to increase customer connection with a text message service? Try EZ Texting. We're here to make communication simpler for everyone. Sign up for free today. 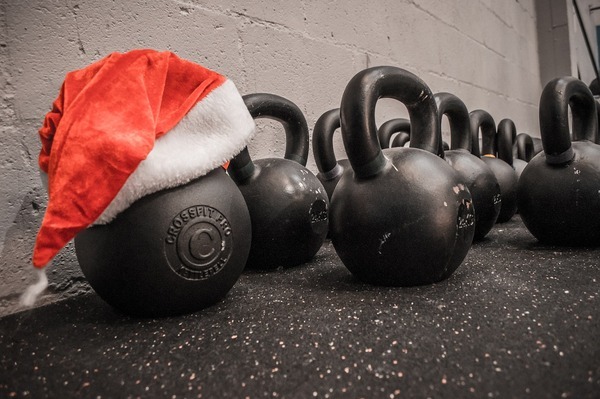 For fitness businesses, the holiday season represents the potential for increased sales, customer engagement and an influx of clients ready to accomplish their New Year's fitness resolutions. But, achieving these goals will require a little planning. An active and profitable holiday season starts with a wise marketing strategy that targets gift givers and potential clients. Below are five effective marketing strategies to help your fitness business boost holiday promotions, attract new clientele and get ready for a more profitable New Year. What types of companies and products would your customers be interested in? People who buy fitness services may also like vitamins and supplements, massage therapy, health food stores, fitness apparel, and more related products. Contact nearby companies that sell these services and products and set up cross-promotion partnerships. It’s easier to sell to existing customers than it is to attract new people to your brand. Your customers will be more willing to buy from you because they are already acquainted with the value you provide. Offer your existing loyal customers special discounts if they purchase products or memberships as gifts. Tell instructors to mention the discounts at the end of classes and put up signage as well to encourage purchases. People love the holiday season because of the joy and festive spirit it brings. Join in the festivities with your customers as they interact with your business. Get into the spirit by adding holiday theme décor to your establishment. To increase engagement, infuse this holiday spirit into your marketing materials, whether ads, fliers, social media or blog posts. Forty-two percent of consumers said they would like to receive a gift card as a holiday gift. And gift givers like gift cards because they are easy to buy and they make great last-minute gifts. Display gift cards on your counters and where your customers can see them. Advertise them in your email newsletters and on your website as well. If possible, make an electronic version available for online shoppers. The holidays are filled with promotions galore, but if your customers don’t get notified that they exist, you will have wasted money and resources creating them. Email is a valuable marketing communication tool, but only 17-25% of emails get opened, leaving 75% of your customers unaware of your promotions. You can post on social media, but with current social algorithms, Facebook organic posts only receive 2-6% reach. What if there were a way to get 98% of your customers to see your messages? There is, and the strategy is called text marketing. Text marketing is a powerful communication medium, especially during the holiday season when notifying your customers about your promotions is critical to getting sales and outperforming competitors who are also vying for your customers’ attention. Use text messaging to stay in touch with customers and share special promotions up until the New Year. Send texts simultaneously and get more exposure for your holiday promotions. EZ Texting’s cost-effective services give fitness businesses the tools they need to maximize holiday promotions and increase profits. 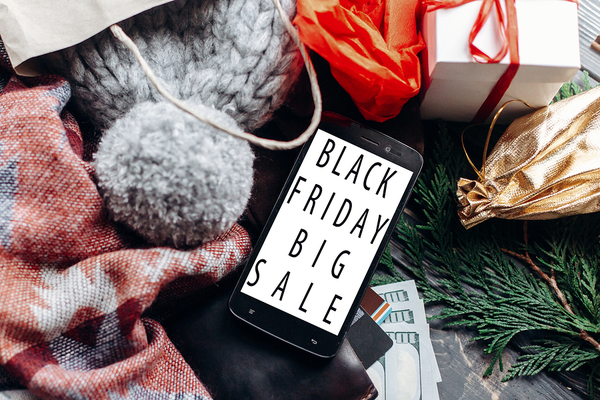 If you would like to try text marketing to increase sales and engagement this holiday season, get started by signing up for a free account here. 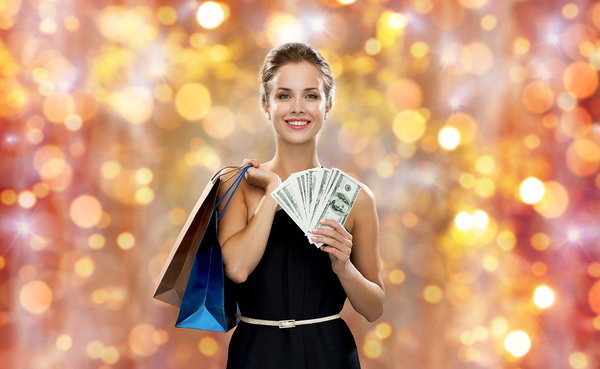 Are you ready to cash in on the holidays? While holiday enthusiasts are stuffing themselves with pumpkin and pecan pie, businesses are vying for a piece of the figurative holiday pie—the chance to cash in on the holiday gift-buying frenzy and round out their year with better-than-average sales numbers. For small businesses, the holiday season brings with it opportunities to boost sales and increase revenue. According to the National Retail Federation, holiday sales increased 4 percent last year and reached $658.3 billion, including $122.9 billion in non-store sales. And the 2017 holiday season may be on track to outperform last year. Kiplinger reported that retail sales are growing 3.5% this year for 2017. If you want your piece of the holiday pie, read on to discover the opportunity for your business to capitalize on the revenue potential the holidays bring. If you want to optimize your holiday marketing strategy, evaluate your consumers’ behavior and holiday spending habits. To uncover this information, let’s take a look at the when, what and how of consumer holiday shopping behavior. Years ago, the day after Thanksgiving represented the first day of holiday gift-buying and Black Friday was the “unofficial” launch to the season. But, today, consumers are starting earlier, some as early as the summer months. In fact, the term “Christmas in July” has become a staple in some households, and businesses are also using it to sell off their holiday merchandise early or re-sell last year’s merchandise. Today, nearly half of small business shoppers start their gift buying before November 1. Once the trick-or-treat bags, ghosts and goblins retire to the basement, the wallets come out, and the gift-buying extravaganza begins. Don’t wait until the turkey gobbles to begin promoting your products. Start now and plan to promote as early as November 1st so that you can capture the large majority of first-in-line shoppers. When small business shoppers were asked which factors compel them to shop at a particular store, they indicated quality, selection, and free shipping were the top three factors. Also, people who shop at small businesses plan to spend $300 more than shoppers who typically flock to the big box retailers. This is good news for you. Consumers love small businesses, and they prefer quality and a diverse selection rather than the same brands the big box stores carry. Take advantage of this trend, and focus your marketing on the quality of your goods and your unique selection. Also, take advantage of Small Business Saturday, the day that falls between Black Friday and Cyber Monday. Small Business Saturday was started by American Express in 2010, and it celebrates small businesses, encouraging consumers to “shop small.” Last year, spending on Small Business Saturday topped $15.4 billion. To get a piece of the Small Business Saturday pie, start now and create a marketing strategy to encourage your customers to come out and support you. Partner with local small businesses in your area to advertise products in your stores. For example, if you run an athletic store and there is a fitness club nearby, advertise the club in your store. In exchange, the fitness club can sell or advertise your products. We discussed what consumers want and when they will start shopping—but HOW do you develop a marketing strategy that will get your products noticed and make your brand attractive enough to boost holiday sales? In the next section, we will discuss some best practices and clever marketing strategies you can implement right now to prepare your business to generate more revenue this holiday season. If you want exclusive access to these revenue-boosting holiday strategies, simply enter your email below to read the rest of this article. Don't let the holidays pass you by without getting a piece of the pie! Below are some effective strategies you can use to get ahead and take advantage of the profit-boosting opportunities the holidays provide. Hopefully, by now, your inventory is fully stocked to prepare for the holiday season. The next step is to work on your marketing campaigns. Develop your marketing strategy now, and outline exactly what your campaigns will look like and what resources you will need to execute them. Which strategies will we implement and why? Do we need to do any preliminary strategy testing? Are we clear on our target audience? Do we have enough resources to execute these strategies? Do we need to contact influencers to help spread our message? Create a calendar and timeline to organize when and how you will carry out the tasks. Use programs like Trello, Basecamp or Teamwork to create tasks and deadlines, and assign them to key people. Also, schedule follow-up meetings, and assign action items to keep everyone accountable. Tip: Sometimes campaigns don’t work out the way you expect. Have a backup option in place if a campaign doesn’t generate positive results. Assemble 1-2 lower priority campaigns you can implement should any falter. Don’t expect your off-season ads to perform as well during the holiday season. Consumers are in a different mindset, and they may respond to different messaging. Plan your ad campaigns early, and consider testing now, so you are ready when the holiday season hits its prime. If you don’t prepare now, you will be trying to figure out what works—at the exact time when you should be posting your best ads to get maximum exposure. To optimize your holiday ad campaign and get prepared, create new ads weeks in advance and A/B test them to determine what performs the best. Continue testing until you discover some high-performers you can use during the height of the holiday season. By preparing and testing early, you will maximize your conversions and sales. Tip: Now is a good time to revisit your target audience and look for new opportunities with your holiday ads. Use tools like Facebook’s Audience Insights to refresh your target audience and their purchase behavior. Notice any opportunities for segmenting your audience so you can tightly focus each ad campaign. Think about factors like lifestyle, interests or any other aspect that will allow you to personalize an ad to increase conversions. Your customer service inquiries will heat up this holiday season, and without a plan in place, the department could suffer and damage your relationship with your customers. Prepare your team to provide the highest level of service to customers. Here are some customer service tips on not just how to survive this season, but to thrive and come out on top. 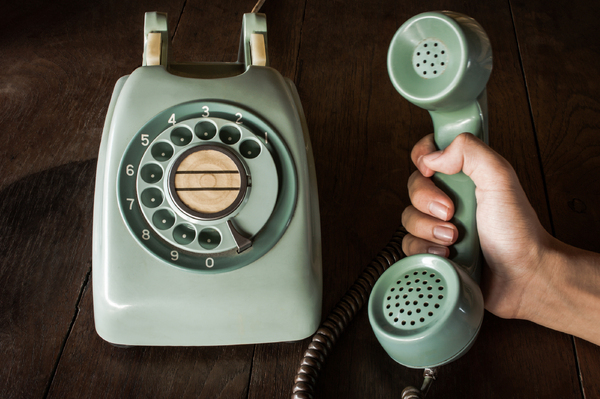 Review trends – What was your call volume last year during the holidays? How many additional customers visited your store? Review your past trends, so you have a better idea of what additional resources you need this year. If you were unprepared and understaffed last year, hire additional help this year. If you experienced any issues, address them early so they will not happen again. Train your team – Prepare your agents on how to deal with high volume. Holiday shoppers are typically more anxious and aggravated, so support should be ready to respond immediately and empathize and communicate in a gentle tone to relax the customer. Inspire – Inspire your support team to do their best work, and reward them with incentives for top performance. Your agents will be fielding a higher volume of chaotic calls, and your appreciation and understanding will inspire them to do a good job. Every customer you reach with your holiday promotions can lead to another sale for your business. So it’s vital to capitalize on the high volume of the holiday season and reach as many people as possible with your sales and promotions. One of the quickest and most effective ways to accomplish this successfully is via text marketing. Most people do not leave their homes without their cell phones, and 95% of Americans own one. Take advantage of the cell phone obsession and target people where they spend most of their time—on their phones. Text messages rarely go unopened as well, with texts boasting a 98% open rate. Impulse buying will be at an all-time high this season, so to take full advantage of text marketing, focus your texts on quick sales and time-sensitive promotions. Use text marketing to also send promotion expiration reminders or other related holiday notifications. To get people on your texting list, start promoting it now in your emails, social posts, and in-store signage. In your communication, stress the benefits of signing up now to receive exclusive holiday discounts reserved solely for your audience. Consumers are ready for the season with wallets open and credit cards in hand. Are you ready to supply their demand? There is plenty of holiday pie to go around; you just need to implement the right strategies to get your piece. Take enough time to plan out your campaigns and use some of the strategies we outlined here, and you will not only be eating a piece of the holiday pie, but also devouring a feast of sales and revenue. Want to try text marketing for your holiday marketing campaigns? EZ Texting is an industry leader in supplying small businesses with cost-effective technologies to increase sales and supercharge their marketing campaigns. Let us help you crush your sales this holiday season using text marketing. To get started right now, sign up for a free account here. So you have the restaurant, the catchy name, the prize location, and the amazing food. Congratulations—you have created a recipe for success, and you are one step ahead of the game. But, to become profitable and maintain growth, you also need the most important ingredient to a successful restaurant—loyal customers. If you need to get your name out there, build your customer base and generate some brand awareness, the process is not difficult, but focusing on the right strategies is key. Below we’ve outlined three vital strategies that can help you get your restaurant on the map. - Connect with local publications – Find local online outlets and get them to mention and link to you. Many will also have event calendars or restaurant lists or local “best of” lists that include links to local establishments. Getting a link in one of these publications could boost your local ranking. If you are having a difficult time getting a link, consider holding a special event and asking the publication to feature or write about it. - Valuable location-specific content – Create educational content related to your industry and add location-specific keywords as well. One example would be a blog post on how to enjoy a night out on the town where your restaurant is located. The night would, of course, start with a visit to your restaurant and then list 3-4 other activities locals would find interesting. If there are any local keywords or abbreviations synonymous with your town, use those as well. For example, in Nashville TN, locals call the town “Smashville” which represents the home of the NHL hockey team, the Nashville Predators. You wouldn’t know these terms unless you lived in the town and Google knows this as well. In a Nielsen online survey, 84% of respondents said word-of-mouth recommendations were the most influential and trustworthy source of product information when making purchase decisions. When people search for restaurants, they often seek advice from online review sites and personal recommendations from their friends and families. Review sites give your potential guests a chance to read unbiased information about your establishment, and this will guide them in their decision of whether or not to visit your restaurant. Google also loves positive feedback so get as much of it as you can. Ask your happy customers to review your restaurant on sites like Google, Yelp, TripAdvisor, and popular local directories. Also, if you spot any negative reviews, reply to each individually and quickly, to show that you care about your customers. To encourage participation, offer incentives for leaving feedback and add messages to your receipts and store signage. If your establishment is higher-end, consider emailing your guests and ensuring their experience was a good one while kindly asking them for a review. Text marketing is one of the most effective and inexpensive ways to generate more awareness for your restaurant and get more business while maintaining a loyal customer base. With a 98% message open rate, text messaging is a powerful marketing strategy and one you can add as an adjunct to the strategies mentioned above. At pennies per message, text marketing is also less expensive than other marketing channels. And customers will receive your messages wherever they are as most people do not go anywhere without their cell phones. Advertise your SMS text campaign on your website, emails, and in-store. When people opt-in, periodically send them messages about specials, location information, notifications, events, coupons, and other promotions. The more aware they are of your brand, the greater the chance they will step foot in your doors and also share their experience with others. Text marketing campaigns are easy to set up and run. With EZ Texting’s simple interface, you can log in from anywhere and from any device, create your message and hit “send.” And as an industry veteran, we have a long list of happy clients that have already realized how beneficial text marketing is to their profitability and growth. To get started with text marketing, simply sign up for a free trial. Looking forward to seeing you on the other side! Many small businesses use SMS (Short-Message-Service) to reach their customers directly. However, in the world of SMS marketing, it's easy to get lost in the 'alphabet soup' of associated acronyms. Which acronyms do you need to know to survive? Read on for a comprehensive guide. These short messages can instantly transform your business marketing by creating a direct line of contact. PPC means 'Pay Per Click.' You pay an advertiser a certain amount of money each time someone clicks on your ad. You then use those ads to draw people to your website to make a purchase. or you can also collect names, text numbers, and email addresses and encourage people to visit your social media sites or blog in the future so that you can continue to engage them in a conversation about your products or issues in your field. When you're marketing, you need to understand "the amount of money spent to get a digital advertisement clicked when running a PPC advertising campaign," according to Hubspot. That's where the CPC gets involved. This acronym stands for "Cost Per Click." It looks at the money you spend when a customer clicks on your ad. It's part of the ongoing cost of that type of advertising campaign. You spend money to get people to come to your website, and then you're focused on making the sale. What is an ROI, anyway? It sounds rather royal, but an ROI is actually connected to your business financial strategy. ROI stands for "Return On Investment." According to Rasmussen, "ROI is a performance measurement that considers profits in relation to the capital invested." While you can get a return from many different kinds of investments, the one you're concerned about when you're creating a marketing campaign is the return you get on the funds that you've invested in that campaign. For every thousand dollars you put into the campaign, how much money will you make from new customers? If you invest $1000 and get $1001, you don't have a strong ROI. If you invest $1000 and your campaign yields $2000, then you have a successful campaign. Do You Have a CTA? Is a CTA a Certified Turtle Accountant? Good guess, but no: when you're working in marketing lingo, a CTA is your critically important Call To Action. As a business who's engaging in inbound marketing, you need to both create engaging content that connects your readers to your business, and you need to invite your readers to become customers by inviting them to take action. This action could be as simple as signing up for your email newsletter or adding their names to your list of people you should text when there's a sale coming. A CTA inspires your customers to act. At EZ Texting, we have an SMS marketing platform that can change the way you do business. Get in touch with your customers easily and efficiently with text marketing. Sign up for free today. There's a key meeting that your members cannot miss, but it's been rescheduled on short notice. How can you get your message through to your union members so that people show up at the right time? They might miss your email, and individual phone calls take too much time. 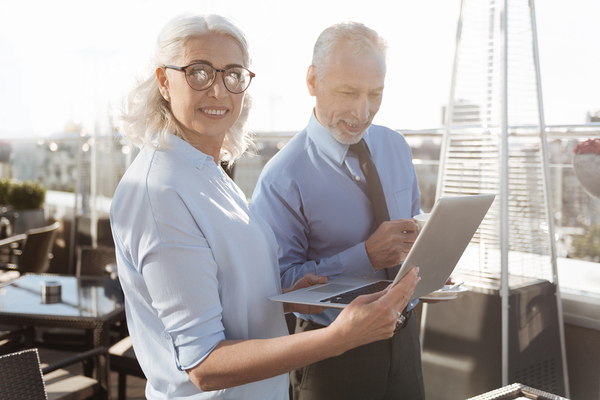 With text messaging, you can ensure that you connect with your union members when time is of the essence to convey that important message or notify them of that important meeting. If you're relying on email messages to get to your members, you could be relying on the wrong method of communication. Emails are a wonderful communication tool in many ways, but at times when you need to get the message through quickly and consistently, emails can fail. According to ReturnPath, "Only 79% of permissioned email marketing messages reached consumers’ inboxes." While your union communications aren't marketing, the email system doesn't know this. Many of your email messages could get stuck in your members' spam folders. "Only 79% of permissioned email marketing messages reached consumers’ inboxes." According to MailChimp, the emails that hit inboxes don't necessarily receive a warm reception either. Average email open rates vary from 15 to 28 percent, and if you ask your members to click through, you're likely to get a click-through rate of 2 to 5 percent. That means that if you want people to sign up to attend an event, you may be reaching very few of your potential attendees. Your union members are busy people who are often on the job site. They may be away from a desk for large parts of the day. How can you communicate in an interactive, highly-accessible way? Don't go backward in an attempt to communicate quickly. Move forward with text messaging. Access easily. SMS text messaging has an open rate of 99%, compared with those 15 to 28 percent open rates for emails. Open quickly. Ninety percent of text messages are read within 3 minutes of receipt? That's a stunningly fast communication method when you compare it to email. Doesn't take a lot of time. Phone trees worked in the eighties. However, they're unwieldy and inefficient today. Is flexible. You can use text marketing messages to send out polls, transmit urgent information, or even collect votes on a topic of interest. Is accessible to everyone. While most people own cell phones, not everyone owns a smartphone and checks email while out of the office. Text messages can go to anyone who owns a phone. Are you trying to make workplace communication simpler? Try EZ Texting. We're here to make communication easy for you and for your employees. Sign up for free and see the difference that EZ Texting makes to your workplace communication.